And now, a tiny break from ORCHIDdaze installation. How about a tour of the Tropical High Elevation House where right now some of my favorite plants are flowering? Those of you who want to read more about ORCHIDdaze: Surreal Beauty (which opens this Saturday!) can stop here. The rest of you come with me. 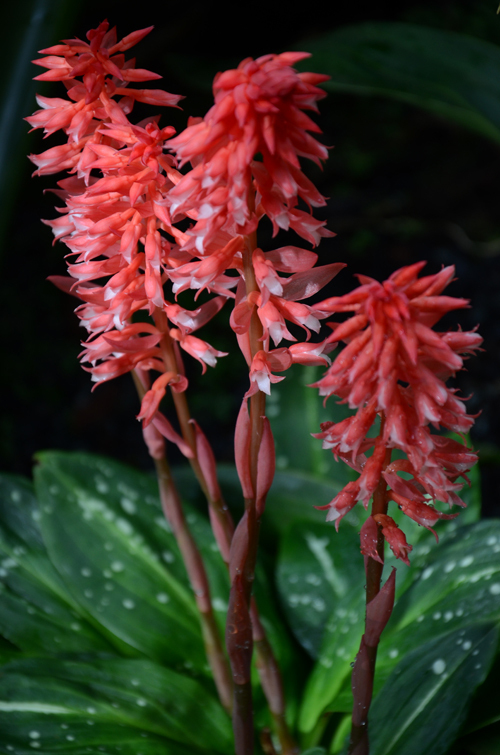 In an intermediate-temperature greenhouse Stenorrhynchos speciosum flowers during the December holiday season. It certainly has the holiday colors down. 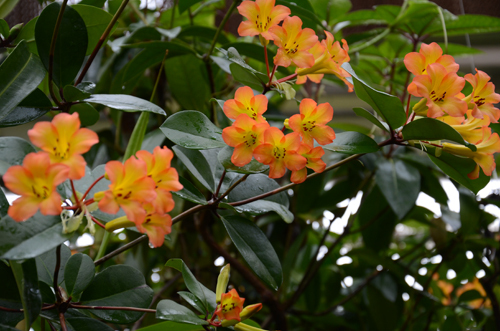 In the chillier Tropical High Elevation House (THEH) it flowers about six weeks later. Stenorrhynchos speciosum is a terrestrial orchid widespread throughout South America in seasonally dry forests and at a wide range of elevations. I love all Trichopilia species. A couple of years ago when I realized that our intermediate greenhouse was becoming a warm house we installed a bunch of divisions of Trichopilia suavis on a dead tree fern trunk in the THEH. They don't appear to be the least bit cold stressed. 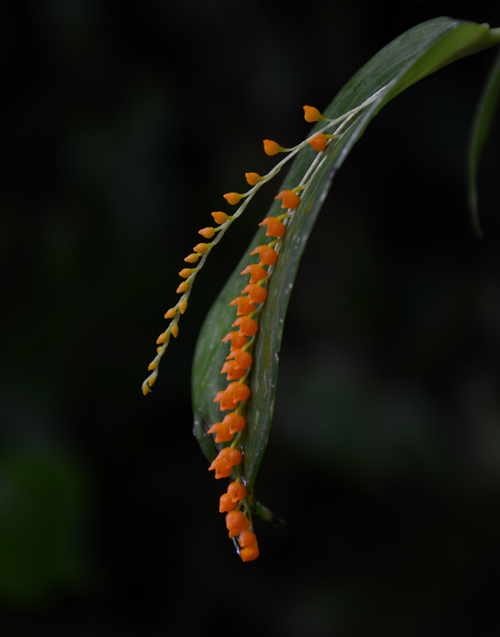 Trichopilia suavis occurs as an epiphyte in mossy forests at 1000 to 1700 m. from Costa Rica to Colombia. Pleurothallis truncata. How cute is this? The terrific guys from Parkside Orchids brought us some plants when they visited a few years ago. 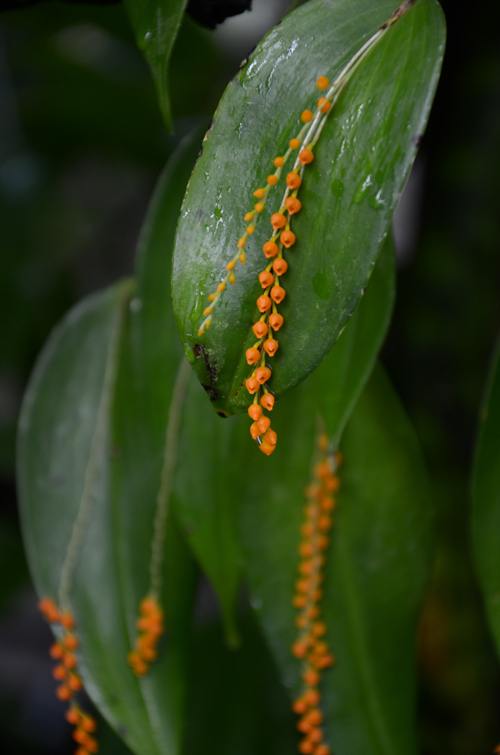 Pleurothallis truncata grows as an epiphyte at intermediate to high elevations in Ecuador. The pendent flower spike is a many-flowered raceme that emerges near the base of the leaf. Need another dose of adorable? 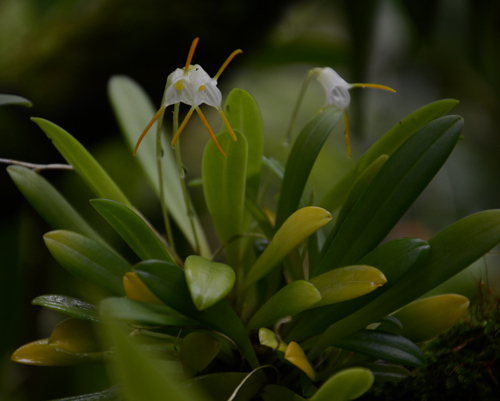 Don't forget to have a close look at our Masdevallia tree at the back of the HEH. Lots of wonderful miniatures here. The Orchid Atrium will be closed this week during construction of our ORCHIDdaze display. 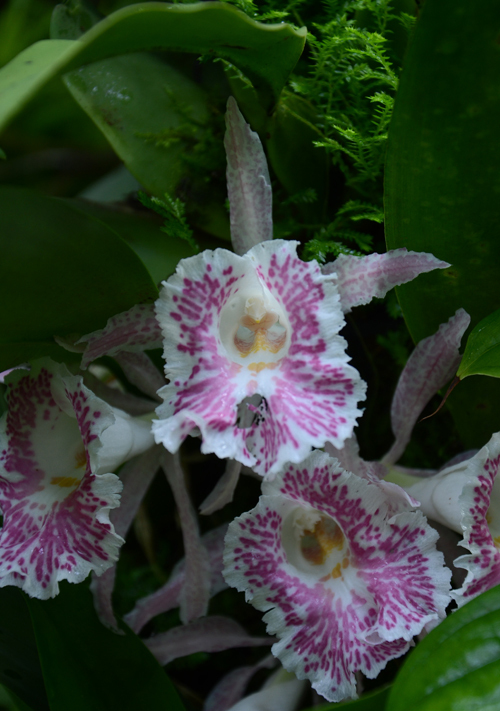 But you can still come and enjoy the Tropical High Elevation and the Orchid Display Houses. The lush tropical greenhouses are a wonderful haven during winter.